Any geographic regions can be considered for projects that do not require the use of R/V Falkor. For the initiatives requiring the use of R/V Falkor, feel free to request any operational site located throughout the global ocean, noting that R/V Falkor is not a Polar Class vessel and is therefore generally unable to support operations in latitudes higher than 60° North or South. The regions where R/V Falkor will operate in 2019 and 2020 have already been defined, and target areas for 2021 will be selected to accommodate the top ranking Expressions of Interest that Schmidt Ocean Institute receives in response to this call. If your project is flexible with regards to geographical regions where shipboard testing and trials can take place, please be sure to state that in your Expression of Interest. 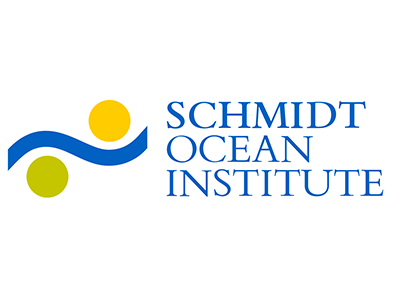 Before writing your Expression of Interest (note these must be submitted by Friday 28th December 2018), it is recommended that you familiarize yourself with the wide range of operational, technological, analytical, and informational support and services available from Schmidt Ocean Institute. For more information please go to the Schmidt Ocean Institute website.